Since releasing the new AdSense interface to all publishers, we've been continuously working to improve and support the new version. With that in mind, we're writing to let you know that we'll soon be retiring the old AdSense interface and asking all publishers to use the new interface. If you haven’t already, we recommend switching to the new interface as soon as possible to familiarize yourself with the updated layout and new features. To do so, sign in and click the 'Try the new AdSense interface' link in the upper corner of your account. We understand that this adjustment may take some time, so you'll still be able to toggle back and forth between the old and new interfaces during the coming weeks. You'll see another notification in your account as we approach the date when this option will no longer be available. As a reminder, the new AdSense interface offers additional insights in the form of detailed graphs and reports, new ad blocking controls, and increased efficiency through a visual redesign. We’ve now added many of your top-requested features - including the ability to create scheduled reports and view channels on the Home tab. We encourage you to watch our video tutorials at www.youtube.com/user/InsideAdSense#g/c/B067D355E59D96E0, which will guide you through completing common tasks in your account. You can also find detailed information in our Help Center for the new interface (www.google.com/adsense/support/as/). With this transition, we'll be able to focus on building new and improved features into the new interface more quickly. Thank you for your support, and we appreciate your patience and cooperation. 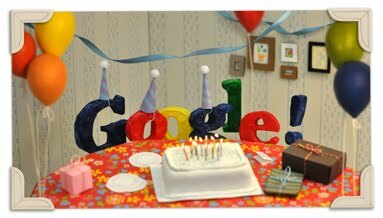 Today, on 27th September 2011 Google is celebrating its 13th birthday. 27th September is the official birthday date of Google. In last 13 years Google launched its many products and services and people from all over the globe always love Google services. Once again Happy Birthday to Google ! Google is improving new Adsense Interface. Is Blue Arrow on Google Homepage Permanently or Temporary ? Many people are asking about Blue Arrow on Homepage of Google. Some people are asking will this blue arrow on Google home page is permanently or temporary. The blue arrow will not appear on the Google homepage permanently. If you click on Web in the top bar above the homepage, you should still see the Google homepage. If you click +You, you should be directed to the Google+ sign-up page. Please let me know if you're experiencing something different. I already post about this blue arrow in my previous post i.e. How Google is Promoting Google + ? How Google is Promoting Google + ? You are Invited to Join Google+ on Google - Will this Method Work ? Today, I saw a change on Google home page. I think you may probably also noticed this change. May be this method is for promoting Google+ by Google. Actually I opened www.Google.com and I found a blue arrow which is pointing to + You. (You're invited to join Google+). I think its the one of best method to promote Google + by Google. See the image below. Do you think by this method Google + will compete Facebook ? Share your thoughts by giving comment. If you are using Yahoo then you will notice Yahoo search is powered by Bing (Microsoft) At the bottom of Yahoo search you will notice trademark of Bing. See the image below. 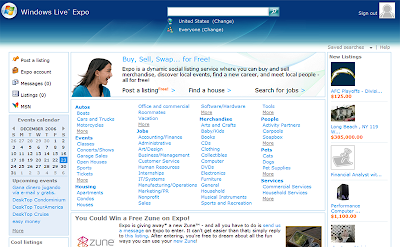 Yahoo has integrated its search and sponsored search services with Microsoft. As part of this integration, Yahoo! shares with Microsoft your search query, IP address, anonymous information from your web browser (such as a unique identifier for your web browser) and other anonymous data (such as demographics including gender and age in whole years). Microsoft uses this information, as well as your search results clicks, for search product improvement, research and analysis, to provide more relevant search results and search advertising, and to help detect and defend against fraudulent activity on sponsored search results. Yahoo! 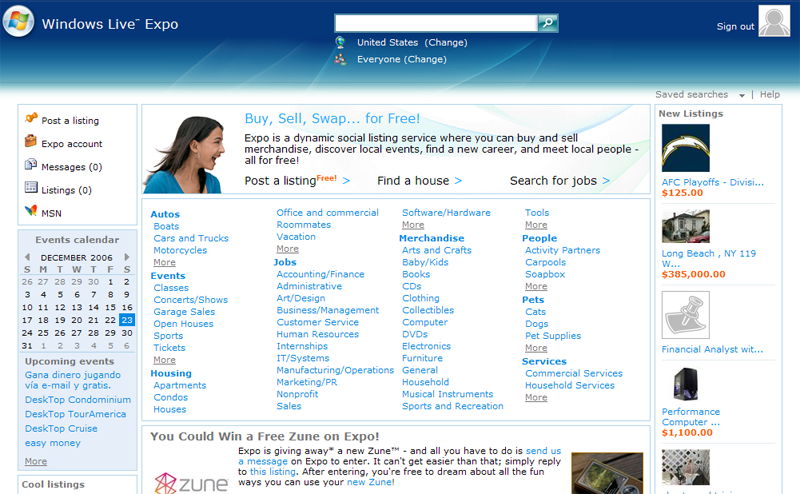 formats results provided by Microsoft’s Bing search service to provide an enhanced search experience to you. But its very interesting both search engines Yahoo and Bing are showing different results for each query. Can this collaboration of both two search engines Yahoo and Bing will beat Google ? You can discuss this question by giving response here. Did you ever try to save Yahoo Logo ? If yes then you may probably notice you can not save Yahoo logo directly. If you right click on Yahoo logo while using www.yahoo.com then you will notice the name of logo is p.gif and its a blank image. Why this p.gif is blank image, I could not find the answer of this and searching about why Yahoo given logo name as p.gif and why it is blank ? So, How you can save Yahoo Logo ? If you want to save Yahoo logo then only option remains, you can save Yahoo logo with the help of PrtScreen button and using any paint editor. What are rel="next" and rel="prev" tags ? How and Where to Implement rel="next" and rel="prev" tags ? What are rel="next" and rel="prev" tags ? Google introduce new tags rel="next" and rel="prev" and Google give this name as Pagination with rel="next" and rel="prev"
The "next" tag describe the relation with your first page and "prev" tag describe the relation with your second page or previous page. Where to Use rel="next" and rel="prev" tags ? If you want to use these tags in your pages then first of all try to understand where you can use rel="next" and rel="prev" tags ? Actually these four URL's have relations and these pages are describing about what are-next-and-prev-tags and are related with each others. And for these types of pages you can use "next" and "prev" tags. How to Implement rel="next" and rel="prev" ? (1) In first URL use only rel="next"
(2) In last URL use only rel="prev"
I think now you can understand the concept of these new tags i.e. rel="next" and rel="prev" If you have any doubt then you can post here by giving comment. How to Become a Template Contributor for Blogger ? Are You a Template Designer ? Are you a professional template designer ? and want to add your template in blogger then their is an opportunity for becoming template contributor in blogger. Its very easy just join Blogger Template Designers Group on Google Group. Here you can find various designers who are asking about how to add your own blogger template. Over the coming weeks, we’ll be adding even more detailed information on building and submitting templates on Blogger. Please stay tuned and feel free to drop in! You can read detailed at here How to become a template contributor ? 7 Useful Tips for Writing Article - How to Write Content for Promoting your Website ? (1) Title of Article: Try to make attractive and useful title of the article. Title should be unique. (2) Keywords in Title: Include specified keywords in the title tag. Include main keywords in the title of the article. (3) Article Length: Article length should be 400-500 words. Try to write article in specific manner. (4) Avoid Keyword Stuffing: Avoid keyword stuffing, Target no more than 2 specific keywords per page. Use the keywords wherever they seem appropriate, and wherever their appearance seems unnatural, don’t use them. (5) Write Article in Paragraphs: Write content in paragraphs. Use title for starting another paragraph. You can also use steps for writing articles. (6) Stay on Topic: Always stay on the topic. Try to explain your article in deeply. So, that user can show their interest in articles. (7) Use How To, What are: Try to start the topic with How to, What are, So that is should look attractive. Remember good article will be always recommended by others. How Google may Guess about your Query ? What is Best guess in Google Search ? Today, I found an interesting thing about Google search. The query which begin with "who is" will give you result on the top (The 'top' result will not be included in Organic listing or not in Paid Listing). So, I think Google is very smart and understanding your each query. Try your query with "who is" and check what Google is guessing about your query ? What is 404 Error Page ? What are Various Types of 404 Error Pages ? What is 404 Error Page ? I already explained 404 error page. I type www.google.com/google in my browser then I get the following message. The requested URL /404-error-page was not found on this server. So, above example clear the concept of 404 error page. What are Various Types of 404 Error Page ? Hope this article will clear the concept of your query related to 404 error page. Where is 404 error page in a blog ? Image ads are similar to the text ads but it contained the image. Google adwords provides you option for displaying image ads. If you are running and PPC campaign on Google Adwords then you probably may know the exact meaning of Images Ads. AdWords image ads are graphical ads which appear on select Display Network sites. Image ads combine two powerful features: graphics and proven AdWords targeting technology. Unlike traditional online graphical ads, image ads can be matched to a page's content. This targeting makes image ads more attractive and relevant to anyone browsing the site. 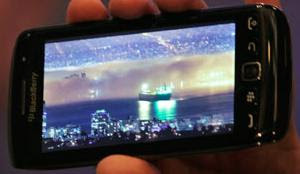 Therefore, image ads offer you yet another effective way to increase your business exposure and reach new prospects. You can run image ads on Display Network sites in both keyword-targeted and placement-targeted campaigns. How to Create Image Ad ? Image ads can only run on Display Network sites, so your campaign needs to be opted in to the Display Network before you can create image ads. 2. Click the name of the campaign that will contain your image ad. 3. On the Settings tab, click Edit next to "Networks." 4. If you've selected "Let me choose," make sure you've checked the box next to Display Network. If you've selected "All available sites," you are opted in to the Display Network, so no action is required. 5. Click Save if you've made changes to your settings. 1. Click the campaign then ad group that will contain your image ads. 2. Click the Ads tab. 3. Click New ad above the table and select Image ad from the menu. 4. Click Browse to select your image file. 6. Enter your display and destination URLs. Source: How Do I Create Image Ad on Google Adwords ? SkillPages, a social skill based network website. SkillPages is a skill based social network that is transforming the way people with skills connect to the people who need them. SkillPages is a skill based social network that is transforming the way people with skills connect to the people who need them. The platform brings together your online connections to help you find skilled people you can trust, get found by people who need your skills and also, collaborate with others. If you are looking for any skill person for your company then its an easy way to join skillpages and find any skill person on SkillPages. (1) If you are looking for Job then you can join SkillPages and you can found job related to your skills. (2) If you have a company and looking for skilled professionals like web designer, software engineer, programmer, seo, link builder etc. then you can join SkillPages. (3) If you are a freelancer and looking for any project then you can find on SkillPages. (4) You can find professional people related to your field. (5) You can make your public profile similar to Facebook, Orkut, LinkedIn by joining SkillPages. (6) You can make friends online. I already publish some SEO interview questions with answers. I make a simple SEO test. If you love Search Engine Quiz then you will surely love these SEO questions. (1) What is DMOZ ? (2) Out of following which is not an On Page Technique ? (3) Out of following which is not part of meta tags ? (4) What is Stumbleupon ? (5) Which is correct form of URL Optimization ? (6) If I want to place my website in Yahoo Directory then How much I have to Pay ? (7) What is Open Directory Project ? (8) What is the Meaning of SERP ? (9) Out Of following combinations what search engines are showing on SERP ? (10) What is Internal Linking ? Robots.txt File in Blogspot ? How Robots.txt is Looking for Blogger ? Where is Robots.txt File in Blogger ? Robots.txt File in Blogspot ? Do you have a blog in blogger and you are familiar with robots.txt file and want to check where and how is your default robots.txt file is looking in blogger. By default each blogger have robots.txt file. How can You Check Your Blogger's Robots.txt ? If you have account in Google Webmaster Tools then you can check your blogger's default robots.txt file by visiting Crawler access Page. Replace 'YourBlogName' with your 'blog's name'. Want to ask any question related to robots.txt file ? then you can ask here by giving comment. I will give answers to your all queries. A: Aardvark is social search: ask any question and Aardvark will discover the perfect person in your network to answer in minutes. Aardvark launched a private beta in March, 2009, and has been growing rapidly since. Today people use Aardvark via vark.com, the Aardvark iPhone App, IM and email. Over the past few months Aardvark has had amazing reception by the industry and press, appearing in the New York Times, Time’s 50 Best Websites of 2009, TechCrunch, and winning runner-up as the Best New Product or Startup of 2009 at the Crunchies awards. Read more on our press page. A: The Aardvark Team is composed of about 30 people, with some of the best engineers and researchers in the industry. The team includes engineers from each of Silicon Valley’s major technology companies, four AI Ph.D.s, and founders from a dozen different successful startups. Q: Why is Aardvark excited about joining Google? A: We want social search to reach hundreds of millions people around the world, and joining with Google lets us reach that scale — we’re also excited to work with the team at Google: our company has a culture that was inspired by Google in many ways, and we have a lot of respect for the folks who work there. If you are looking for SEO interview question then here is the list of important SEO interview question which may be asked for the post of SEO Executive, Sr. SEO Executive, SEO Team Lead, SEO Project Lead, SEO Project Manager. 2 Question: What is What do you love ? 3 Question: In Google Lore – What are ‘Hilltop’, ‘Florida’, and ‘Big Daddy’? Answer: Hilltop: An old and often contested algorithm that calculates PageRank based on expert documents and topical relevancy. The theory behind it was to decrease the possibility of manipulation from buying high PR links from off topic pages. Florida: The highly controversial update implemented by Google in November of 2003, much to the chagrin of many seasonal retail properties. Big Daddy: A test data center used by Google to preview algorithm changes. 4 Question: What is PAD ? How you can use it for SEO purposes ? Answer: PAD (Portable Application Description) is xml based file. For SEO, I can use it for my software related website and can submit PAD file to various software related websites like download.com, brothersoft.com, cnet.com etc. 5 Question: What is A/B testing and multivariate testing ? Answer: Multivariate testing is a process by which more than one component of a website may be tested in a live environment. It can be thought of in simple terms as numerous A/B tests performed on one page at the same time. A/B tests are usually performed to determine the better of two content variations, multivariate testing can theoretically test the effectiveness of limitless combinations. 6 Question: What is Page Segmentation ? Answer: Page segmentation is all about to track the site visitors like which are the landing pages and exit pages. So that you can have a brief idea that how can you improve exit pages content and design to make it more convenient for the landing user. 7 Question: If you are using blogger (blogspot) in Google webmaster and submitting your sitemap then how much pages will be in sitemap by default ? 8 Question: What is difference between +1 button and +1 project ? Answer: +1 button is similar to like button for example you can recommend a page to others by +1 button. Nowadays. its showing in Google SERP near to Title. Google + project is social media website similar to Facebook and we can say competitor of Facebook. 9 Question: How you can search a particular keyword from a website ? 10 Question: What is Google Trends ? Answer: A service by Google where you can find what are the hot searches in all over the world. 11 Question: What does the 302 server response code signify ? Answer: The page has temporarily moved. SEO Hosting: SEO Hosting means to host your website on different C Class IP address. In SEO hosting Class C IP address have main role. If you are looking for SEO hosting company then you can check the list of various SEO hosting companies. I included best SEO hosting companies in the above list, If you know any other SEO hosting company then you can add here by giving comment ! Google Adsense Introduce New Application Process for Becoming Adsense Publisher - How to Become Adsense Publisher ? If you have a website and want to became adsense publisher and want to earn money through adsense then you will notice Google introduce a new application process for becoming publisher. Now the application process will be pass out from the two stages and this new application process will be take place from 31st August 2011. Actually Google want to make their advertisers network clean and therefore Google is regular updating their adsense policies, publisher guidelines etc. What is Adsense New Application Process ? How to Become Adsense Publisher ? According to Google Adsense Blog Post Starting from 31st August 2011, begin adding a new step to the review process and sending notifications at two key points. After a new application is submitted, Google Adsense begin with preliminary checks on the site and the applicant’s submitted details. If the application passes through this first stage, Google Adsense will notify the applicant by email, grant them account access, and provide them with ad code to place on their submitted site. It’s essential at this stage for the applicant to place the ad code on their site, as the review process can’t be completed until the ad code is implemented. However, live ads won’t immediately appear once the ad code has been placed on the submitted site. Since the application hasn’t been fully approved yet, temporary “blank ads” will be shown instead. These blank ads will blend in with the background of the page, so users won’t see them and the user experience won’t be impacted. As a result, there’s nothing to click on and thus revenue can’t yet be generated. Soon after the ad code has been added to the submitted site, a final approval decision will be made and the applicant will be notified by email. Newly approved publishers will see live ads automatically appear in the existing ad units on their pages. Did you like this new change regarding Google Adsense application process for becoming publisher ? You can post your view about this change by giving comment here. If you are a blogger user then you will notice a new message will be appear on your Blogger dashboard regarding new interface. Look Blogger message appearing on Blogger old dashboard. Blogger's new interface is easy to use and more user friendly and you will surely like this new interface. From last one to two year blogger is regular introducing new things and trying to making blogger more user friendly.